It’s hard to get to The Mountain, as the locals call it, without pass­ing through Enumclaw, and it’s hard not to see the 14,410-foot icon from just about anywhere on the Plateau. An active volcano, Mount Rainier is the most glaciated peak in the contiguous United States. Its meadows are dotted with subalpine wildflowers and ancient forests ring its icy flanks inviting visitors to hike, camp, climb and bike. Sunrise provides breathtaking views ofi Mount Rainier, Emmons glacier, and vibrant wildflower meadows. Sunrise Point offers nearly 360-degree views of the surrounding valleys, Mount Rainier, and other volcanoes in the Cascade Range like Mount Adams. These views and an excellent trail system make Sunrise the second most visited location in the park. Sunrise is located 60 miles northeast of the Nisqually Entrance and 14 miles northwest of the Sunrise/White River turnoff on State Route 410. Sunrise Road opens in late June or early July and closes in late September early October. Head east out of Enumclaw on State Route 410 to the national-recognized Chi­nook Scenic Byway, an All American Road. Pass through lush forest with peek-a-boo glimpses of Mount Rainier on the way to the national park. 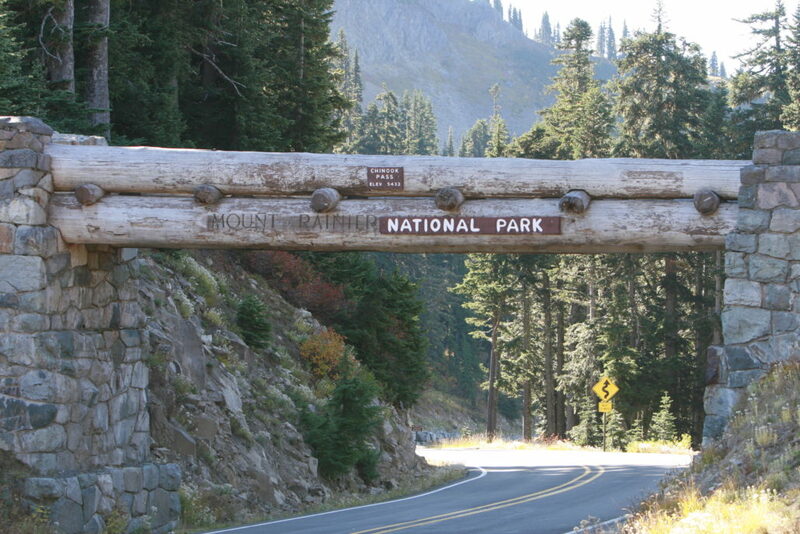 Take Chinook Pass all the way to Naches, about 85 miles, in eastern Washington. Take a few minutes, or hours, to nourish your soul at the top along the shore of Lake Tipsoo with its breathtaking views of Mount Rainier – added bonus wildflowers if you’re lucky. There are no gas stations in the national park – make sure you leave Enumclaw with a full tank.